I am so super excited to be kicking off this week’s blog hop with so many amazing bloggers like Sarah of All Things With Purpose, Yami of The Latina Nextdoor, Jennifer of Smart Fun DIY, Krys of My Melodrama and Chloe of Celebrate and Decorate. 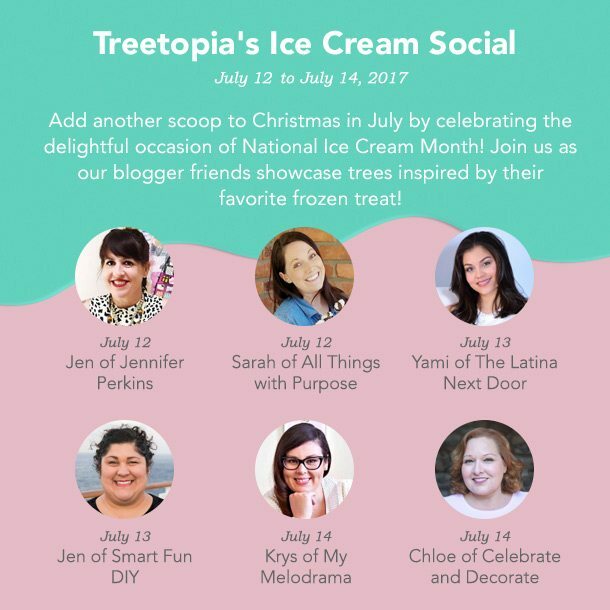 PLUS next week I am going to be doing 4 different Facebook Live Videos on my page and on the Treetopia page sharing how to make your own ice cream themed ornaments. Monday July 17th through Thursday July 20th 3pm CST. I wasn’t sure I could top last years ice cream tree, but size alone is bigger and better. This amazing and gorgeous pink tree is 9ft tall! That is a lot of tree people. Ya know what that means, a lot of ornaments! 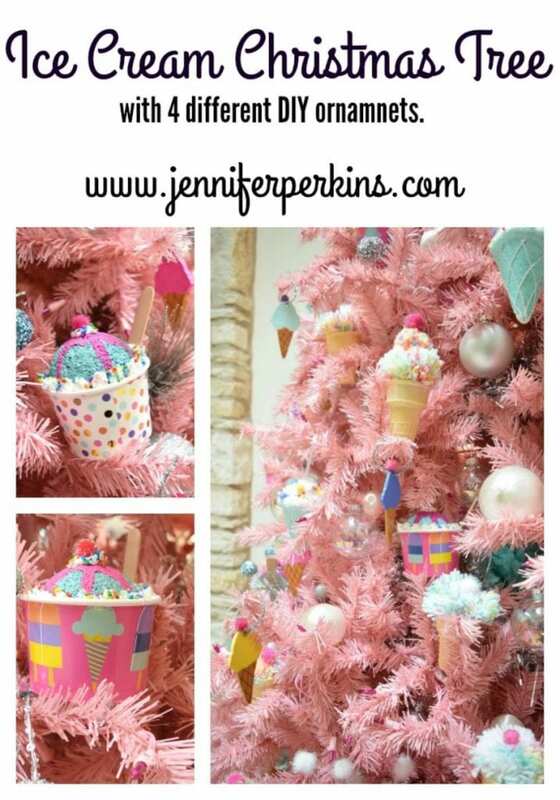 Luckily, ice cream cone crafts happens to be one of my favorite past times (check out this DIY ice cream cone ornament and this DIY ice cream cone ornament.) I even have a Pinterest board all about them that inspired a lot of these ornaments I’ll be showing you on FB Live. I’ve always dreamed of having my own giant pink Christmas tree and now I do! 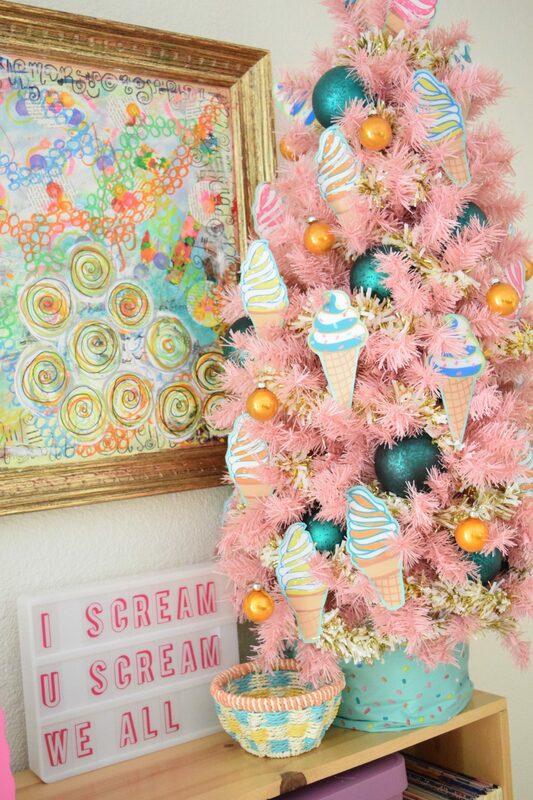 I might bust this ice cream social theme back out for Christmas it’s so cute. As I mentioned, I kinda have this thing with ice cream crafts. More so than even eating it, I love making crafts inspired by it. That is why I am so excited to share the DIY ornament projects with you next month. 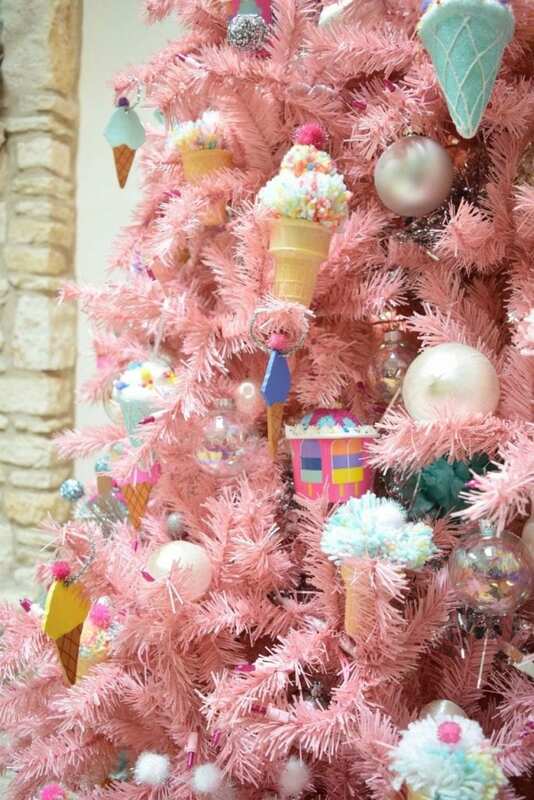 There is yarn, decoden, clay, paint and real ice cream cones and sprinkles involved! I’ll be back all next week sharing my FB Live videos and and all the details on how to make the ice cream ornaments on my tree. Did I mention there will be giveaways involved? Yesssss…..
Want more ice cream ideas? Sure you do! 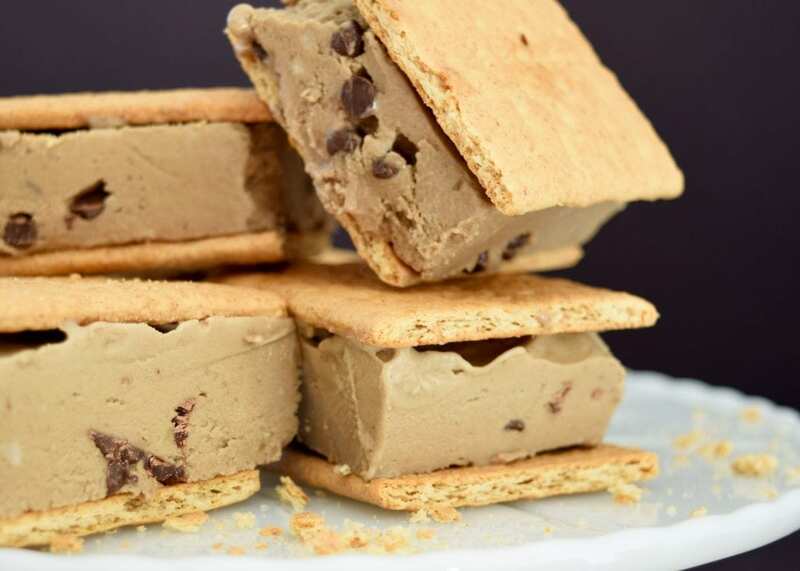 Peanut Free Banana Ice Cream Sandwiches – Did you know that when you put frozen bananas in a food processor something magic happens? It’s true, healthy ice cream is born! 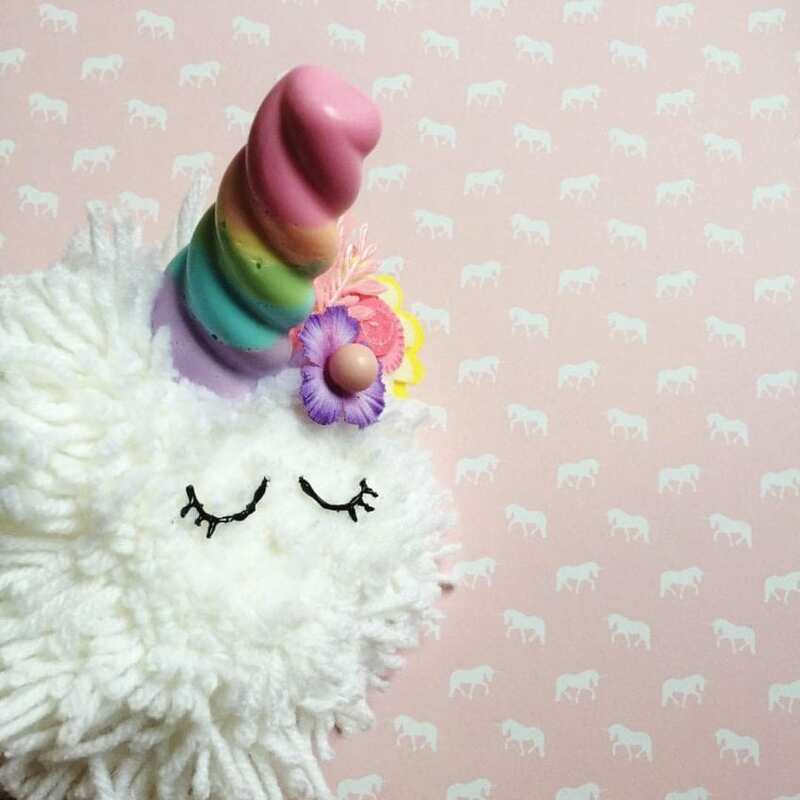 Unicorn Horn Soap – Not exactly ice cream, but equally cold and delicious. I have an entire post on making soap popsicles. 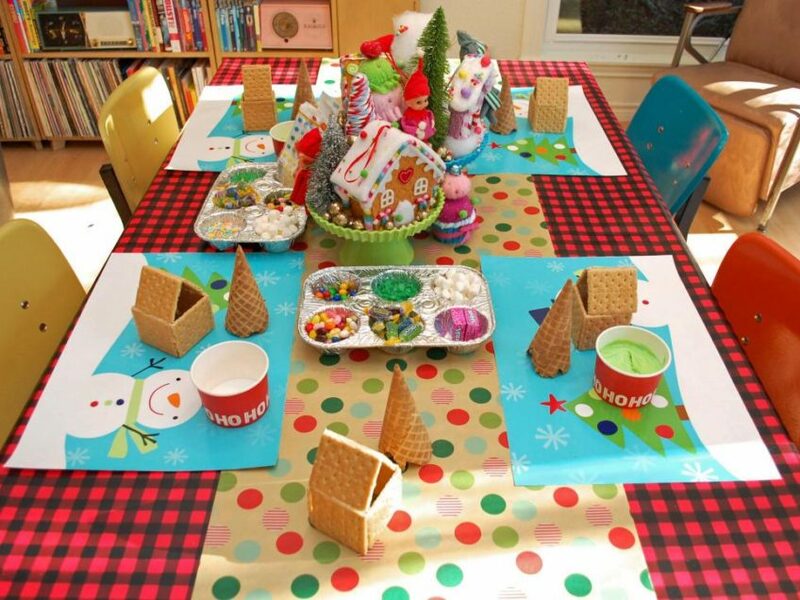 Kids Gingerbread House Party – Have you ever that ice cream cones make great trees to go with your gingerbread houses? Posted July 12, 2017 & filed under Christmas, Holidays, Parties. decorate as one of my Easter Trees….